The image of the old Chamorro grandmother as a sweet and cuddly matron is a figment of the imagination. Certainly there were many of those - but not all grandmothers were like that! Many grandmothers, mothers and godmothers in the old days were strict disciplinarians, quick to use corporal punishment with all the strength of their seventy-year-old hands. Take for example Manuela Manalisay Dueñas in 1903. Manuela had a goddaughter, Joaquina Materne, aged 18 years old. 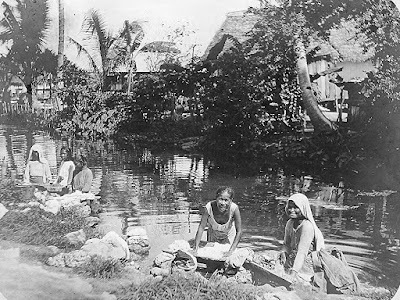 Joaquina was washing clothes in the river in Hagåtña one Thursday. 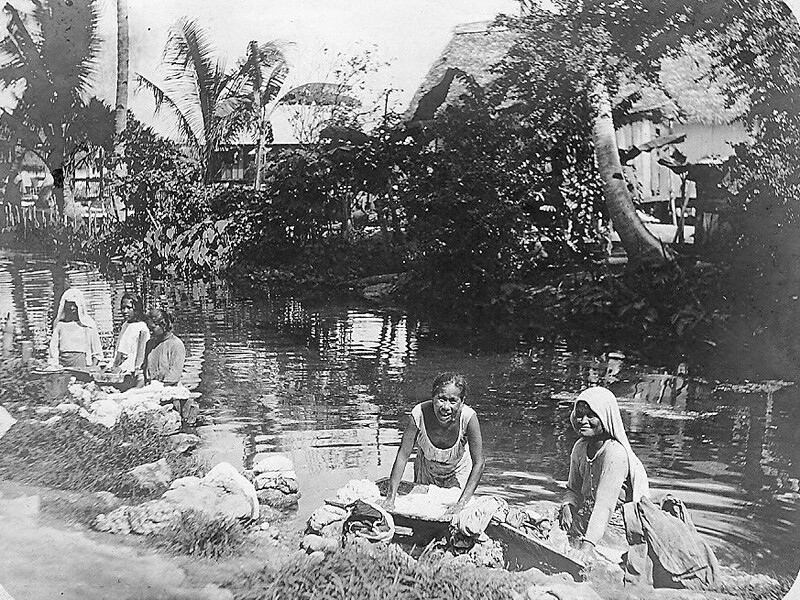 Catalina Crisóstomo Cruz was there, as well, washing clothes in the river. Up came the godmother Manuela, who called her goddaughter Joaquina out of the river. 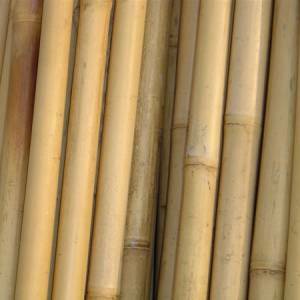 As soon as Joaquina came up, Manuela whacked her repeatedly with a bamboo cane (båston piao). Manuela withdrew and Joaquina went back to washing. But a short time later, godmother Manuela came back and this time beat Joaquina with a stick of ordinary wood. Two days later, Manuela called Joaquina to her house, where she attacked her goddaughter with a piece of cord or rope. Catalina Bae Cruz was a witness to that. 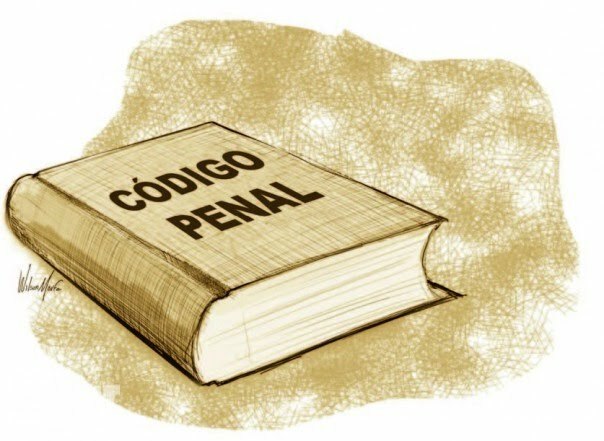 Joaquina filed a complaint in court against her own godmother. Manuela admitted to the court that she beat her goddaughter Joaquina on those occasions. But, she argued, she was within her rights. Joaquina had disobeyed her and she, as godmother, had every right to punish her. Unfortunately for Manuela, the law was not on her side. Even though she was godmother (matlina, nina) to Joaquina, what she did to Joaquina was a crime, according to the Código Penal (Penal Code) at the time. This was the same Spanish Penal Code used in the Marianas before the Americans came, so it can't be said that this was all American thinking. In Chamorro culture, the godmother had a lot of say over her godchildren. Think of the legend of Sirena, and how her godmother mitigated the curse pronounced by Sirena's own mother. But, even under Spanish law, the godmother could not do whatever she wanted to her godchild. Corporal punishment had its limits even then. Manuela was fined and had to pay court costs. The question is : did Joaquina involve her godmother in her wedding later in life? Or anything else later in life? Or was this relationship broken forever?